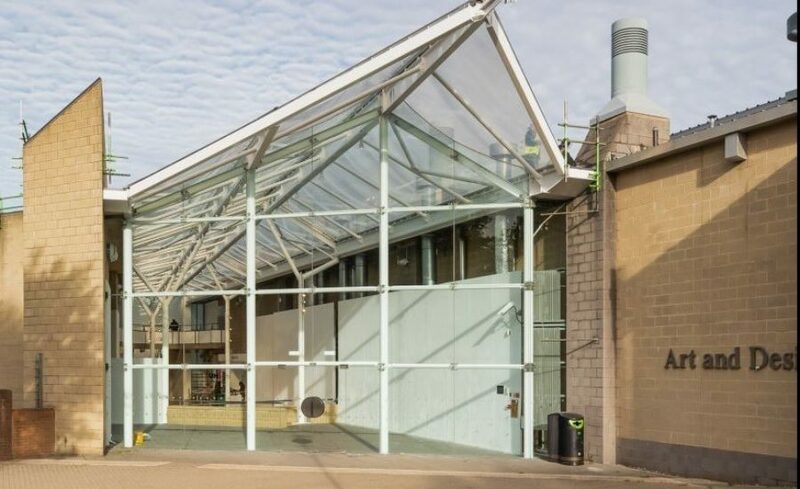 Part of a wider redevelopment of the Art & Design Building at the University of Hertfordshire, the existing ETFE cushion roof was in need of replacement. Originally installed nearly 20 years ago by others, the roof was starting to show its age. Upon visiting site, the Architen Landrell team carried out an extensive survey to collect site dimensions and knowledge of the existing supporting structure. 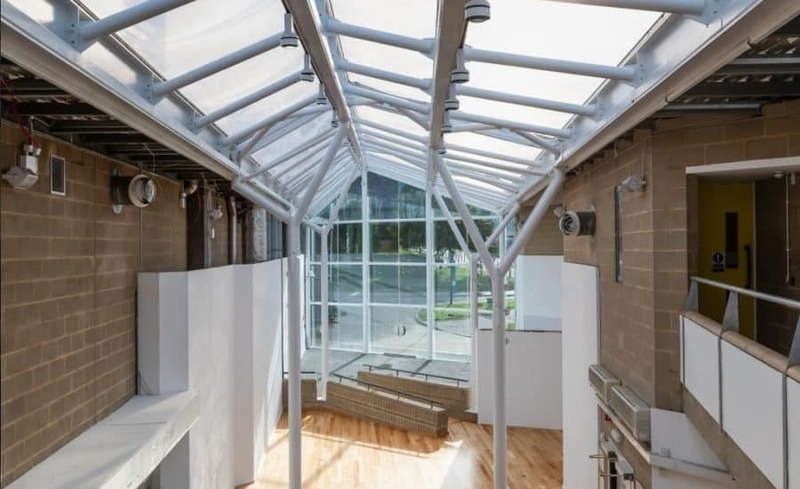 Using this, our design knowledge and experience of retro-fit projects, we were able to adapt our existing ETFE cushion clamping system to be fixed to the structure already in situ. 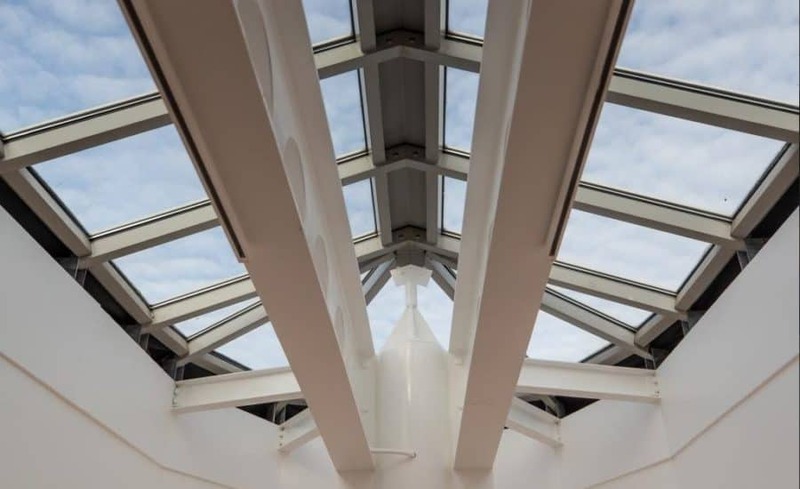 Once the clamping detail had been resolved, Architen Landrell were able to provide a like for like replacement of the ETFE foil cushions roof and ensure that the space below remained dry and comfortable. The roof is made up of 9no. 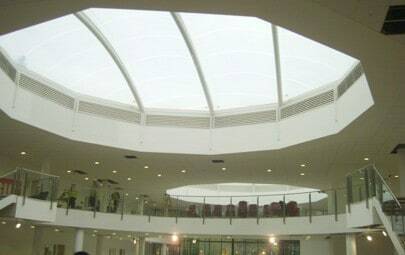 long, narrow ETFE cushions. 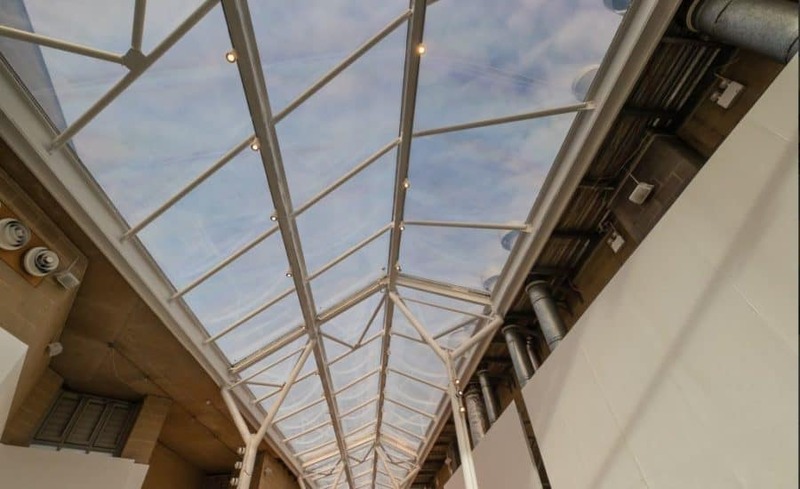 Although originally made from white ETFE foil, the replacement panels are all clear, each fritted with a small dot matrix on the top layer to assist with solar control. 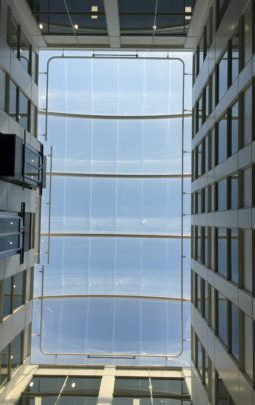 This addition of light into the space and a view of the sky has made the atrium feel much lighter than the previous design. 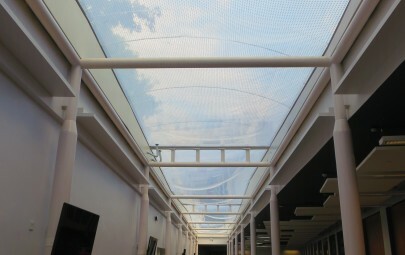 We hope the students feel comfortable and artistically inspired under their new light weight ETFE membrane roof!